CSUN students will be providing free assistance with state and federal tax preparation to low-income individuals and families from Jan. 28 through April 15 at CSUN and satellite locations throughout the San Fernando Valley. Photo by Lee Choo. California State University, Northridge (CSUN) launches the 2017 Volunteer Income Tax Assistance (VITA) Clinic, offering free assistance with state and federal tax preparation to low-income individuals and families, including non-English speakers, people with disabilities and veterans, from Jan. 28 through April 15 at CSUN and satellite locations throughout the San Fernando Valley. The program is staffed by IRS-certified student volunteers and will be available to taxpayers six days a week at CSUN’s campus and nine additional locations – including sites in Panorama City, Sylmar, Pacoima, Sun Valley, the City of San Fernando, Van Nuys and North Hills. A list of locations, dates and times can be found on the CSUN VITA website at http://www.csun.edu/bookstein-institute/csun-vita-clinic. The CSUN VITA Clinic is supported by accounting leader Harvey Bookstein and his wife, Harriet, Citigroup, City National Bank, the City of Los Angeles, the County of Los Angeles, CSUN Associated Students, the United States Department of the Treasury and state Sen. Bob Hertzberg (D-Van Nuys). This year, Hertzberg and his staff have worked with community leaders to greatly increase participation among San Fernando Valley residents. There are over 100,000 households in the San Fernando Valley that are eligible to receive the Federal Earned Income Tax Credit (EITC). The Federal EITC is a refundable credit available to low-income individuals and families worth up to $6,269. The CSUN VITA Clinic plans to assist as many as 4,000 people filing their tax returns this year. The clinic accepts walk-ins, but taxpayers are highly recommended to schedule an appointment through its website. A list of documents and forms of identification taxpayers must bring to their session can be found online. In addition to tax preparation services, CSUN VITA can assist taxpayers in completing applications for subsidies offered by the Los Angeles Department of Water and Power and the Southern California Gas Company to low-income filers. The maximum gross income limitation per tax return has been set at $54,000. However, the CSUN VITA Clinic cannot serve certain taxpayers with complex returns. A complete list of returns that cannot be completed by the CSUN VITA Clinic can be found online. 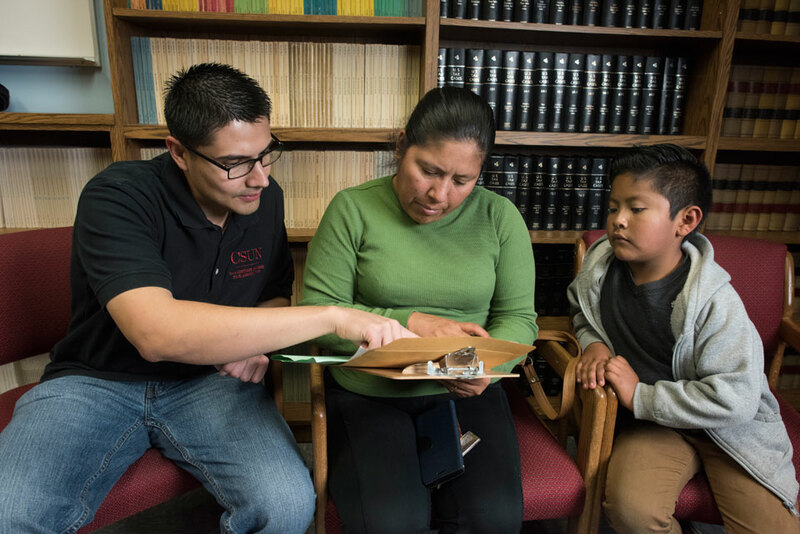 Last year, CSUN served over 3,600 taxpayers, generating over $3.6 million in refunds to low-income taxpayers and $1.1 million in low-income tax credit.